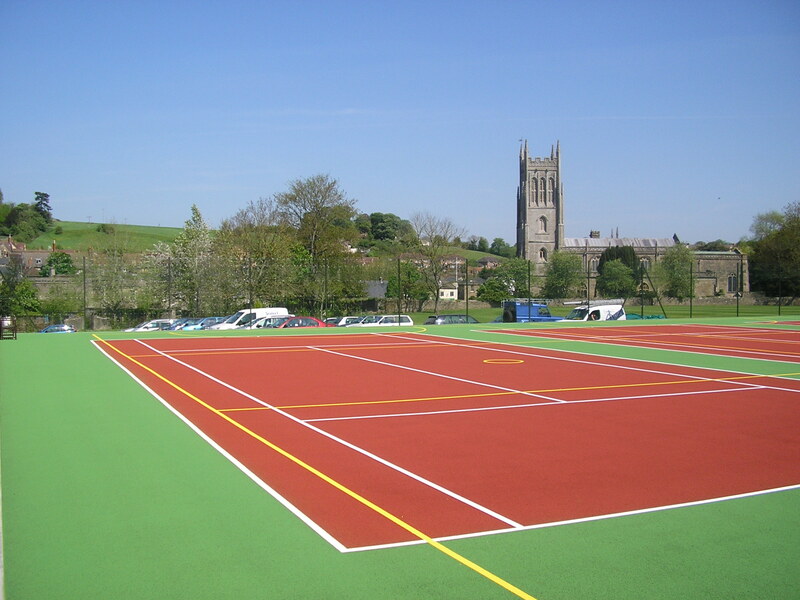 Many leisure centres, schools and clubs in the UK choose to have porous tarmac surfacing installed for sports facilities such as tennis courts, basketball surfaces and multi use games areas. We can offer a number of specialist macadam services for these facilities including full construction, installation, maintenance, and extra equipment. Our team have worked with many clients and can customise the service to suit whatever you need. Whether you need a completely new facility built or simply a new paint coating for an existing court, we’ll be able to help. Just get in touch and speak to us so we can provide you with a quote for what needs to be done. What is a Macadam Court? 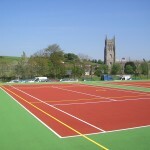 A macadam court is a type of sports surfacing which is commonly found at schools and clubs. 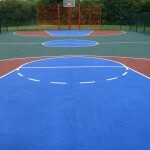 It is a versatile flooring type which can be used to play netball, tennis, basketball and many other activities. Due to the hard wearing and porous qualities, tarmac is an all weather surface which is strong enough to withstand heavy use on a regular basis. This makes macadam sports surfaces ideal for schools and leisure centres who require a long lasting and durable outdoor space. 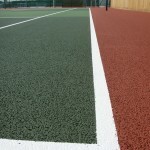 Macadam surfacing is a popular choice for a wide range of sports courts as it provides ideal ball bounce and slip resistance qualities for tennis, basketball and netball. 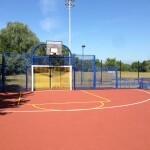 It is also versatile enough to be used for multi use games areas which house multiple sports on one surface. Tarmac sports surfaces are also porous to allow good water drainage, meaning that the facility is suitable for use all year round and in all weather conditions. 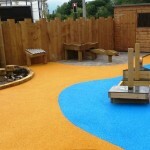 Another of the macadam services we can provide is the application of anti slip paint coatings and line markings. These coatings are usually applied in porous acrylic paint which gives the surface anti skid qualities to enhance performance and safety of players. The formula contains a mixture of sand and aluminium oxide to create the non slip features and improve grip on the court. 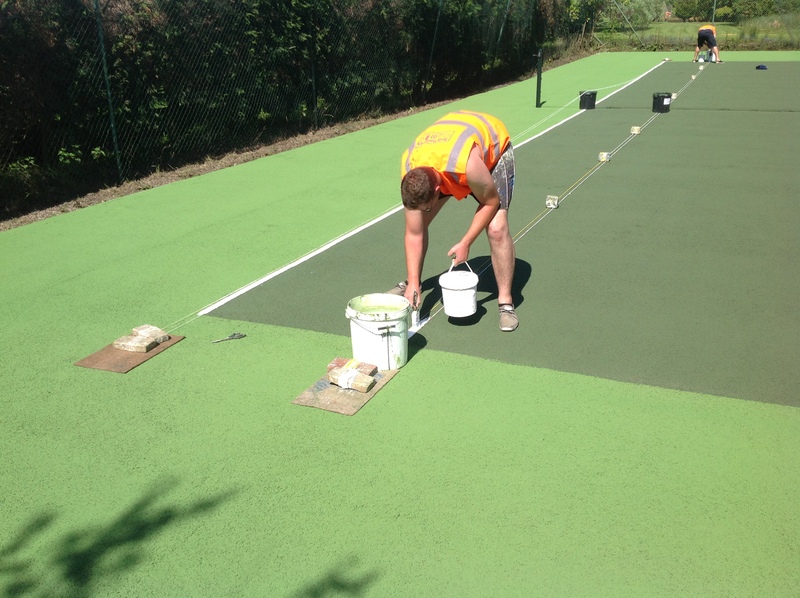 Non slip sports court paint can be applied in a range of bright colours and macadam line marking may be added for a single sport or for a number of sports in contrasting colours on a multi use games area. You can even personalise the paint coatings to suit school or team colours, giving your court a unique look and feel which you will be proud of. As experienced contractors, we can carry out the full installation of one of these facilities. When it comes to macadam surface construction the process is similar for most projects. We will start by preparing the groundworks and installing a stone sub base to lay a stable foundation. The tarmac surfacing itself is made up of stones and hot tar mixed together, the mixture is then laid out onto the sub base. Once this has been left to set and completely cure, we will apply an anti slip paint coating along with the required line markings. The costs involved with carrying out different macadam services will of course vary for each project depending on a number of variables including the scope of works, the area size of the court and access to site. We can help you manage these costs by adjusting certain aspects of your construction project. For example the specification of any extra equipment such as fencing and floodlights could be changed to help reduce costs. We aim to give you the best possible macadam services at a great value price. Our quotes can be flexible to meet your budget requirements while still giving you the great end product you need. Although tarmac is a fairly low maintenance sports surface, it is still important to look after it and clean it regularly, we also offer macadam surface maintenance as one of our services. This could be as simple as brushing and pressure washing the surface to remove dirt and debris and prevent it from contaminating the surface. 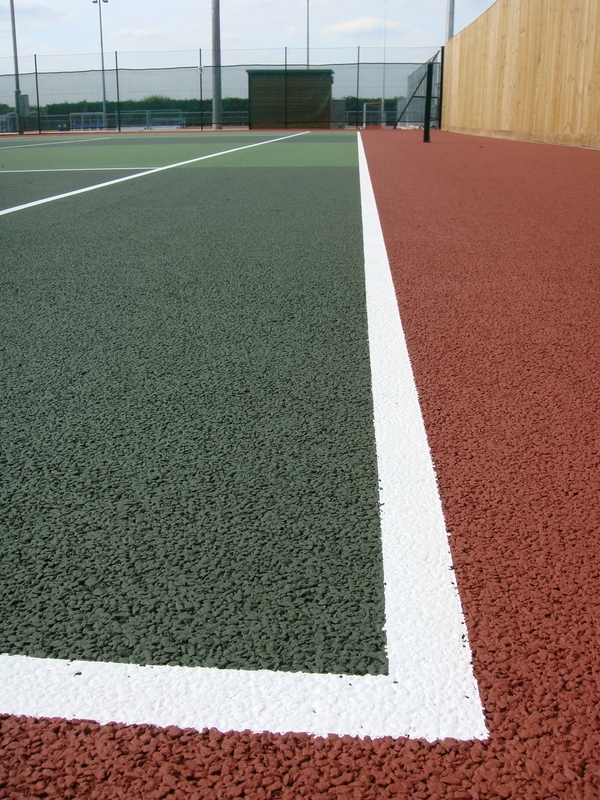 Chemical treatments can also be applied to the surfacing to inhibit the growth of moss and algae, this will help to prevent a loss of water drainage qualities and ensure that the court does not become flooded or waterlogged. 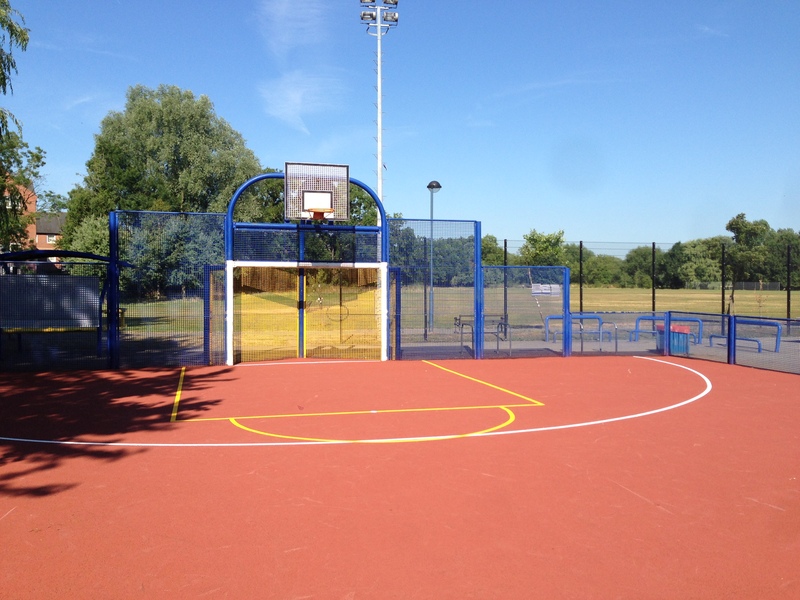 Keeping your macadam sport court well looked after can improve the product life and ensure that the facility is safe and performs well for those who use it, so it’s important to take maintenance into account when planning a budget for a construction project. This video shows maintenance work we carried out for a tennis court which had become extremely contaminated and was covered in moss. We had to clean the dirt from the surface using a pressure washer and a specialist cleaning solution which binds with bacteria and debris to lift it off the court. After all of the moss and dirt has been removed from the macadam surface, we applied a fresh layer of acrylic anti slip paint in a blue and green design. 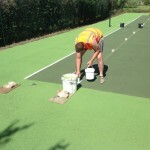 This sports coating is often applied to tennis courts to give better playing characteristics and add slip resistance. Finally, tennis line markings were applied in white to give clear lines for scoring in matches. Our specialists have been carrying out this work for many years at schools, colleges and clubs across the UK. We are expert macadam surfacing contractors and can complete a range of services from construction to painting for different types of facilities. 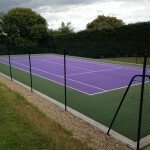 The work can be fully customised to suit your budget and the playing qualities you need for your court. Please be sure to contact us if you’d like an estimate of costs for installation, maintenance or painting as part of our macadam services. One of our experienced team members will get back to you with an idea of the costs involved for your project. 1 What is a Macadam Court?